Here is the test of your Mathematical skills. Given Puzzle Picture contains many sequence puzzles in which your challenge is to find the next number in the series. 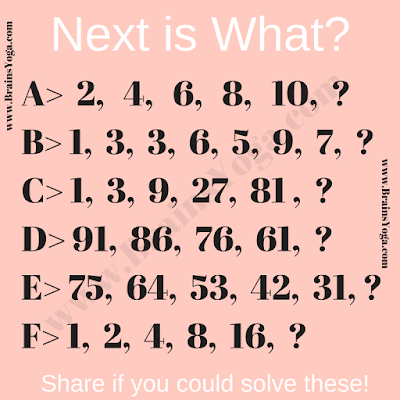 Lets see how many of these puzzles you can solve without looking at answers? 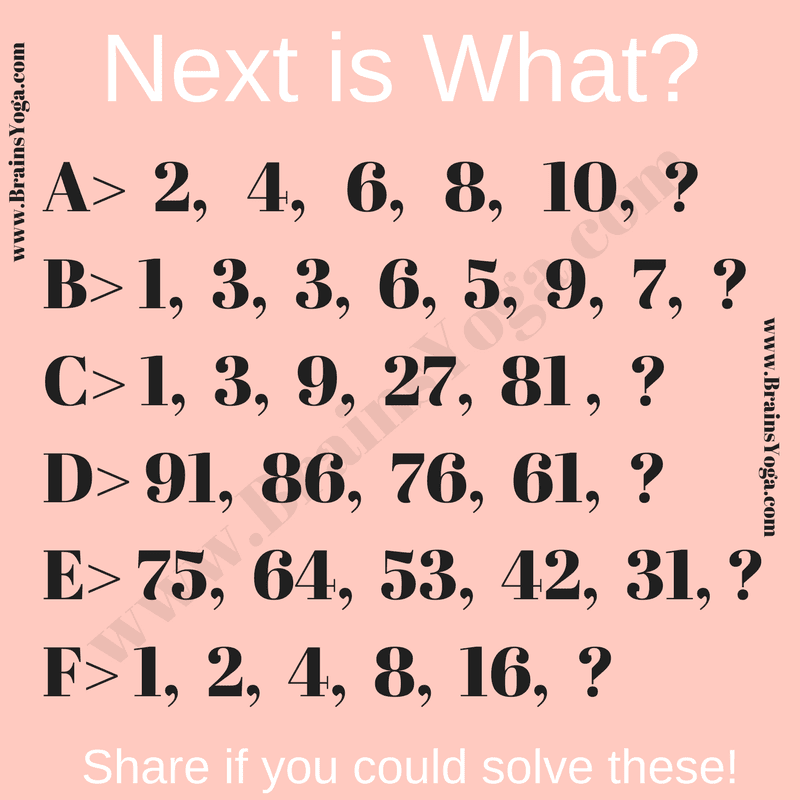 Can you solve these Number Series Brain Teasers? Answers of these number series puzzles along with explanations can be viewed by clicking on button. Please do give your best try before looking at the answer. A> 12: Difference of each term is 2. B> 12: Here are two different series one with difference 2 and another with difference 3. C> 243: Multiply previous number with 3. D> 41: Decrease previous term by 5, 10, 15, 20 and so on. E> 20: Decrease previous term by 11. F> 32: Multiply previous term by 2.